There are lots of ways you can contribute to our life together. Here are just a few ways of contributing to church activities. We also have information about volunteering in the local community more widely. The welcome team are there at the door to greet people at each service. They give out books, answer questions, and ensure that everyone is made to feel at home. We serve coffee and other refreshments after all Sunday services - a simple way of showing others they are welcome. We have a great garden, a community space where people can rest, eat, play. Helping look after it is a great way to contribute to the hospitality we offer our visitors. Be part of the team that makes sure the church has beautiful flowers each Sunday and puts on special displays for important occasions. Making music is an uplifting way to glorify God. Join our choir or Jubilate and discover the truth of the old maxim 'whoever sings prays twice'. We also welcome instrumentalists who can join with others in accompanying services on special occasions, playing solos, or join our small team of pianists. Our serving team ministers in the sanctuary at our Parish Eucharist each Sunday. 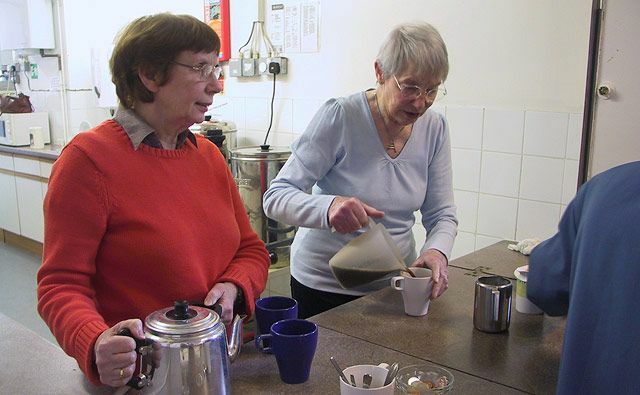 They receive training and the group organises occasional social events for its members.